Helen J. Sorensen, age 87, of El Dorado Springs, Missouri, passed away on December 12, 2014, at Cedar County Memorial Hospital. She was born November 18, 1927, the daughter of Richard and Lydia Eaken of Rockdale, Texas. In 1946 she married Merle Sorensen and they came to the El Dorado Springs area to make their home. To this union three daughters were born: Mary, Becky, and Nancy. Helen worked at the International Shoe Factory until its closing. Helen and Merle worked their dairy farm together for many years before later raising beef cattle. She loved to work in her garden, pick blackberries and pecans, enjoyed taking her produce to the Farmer’s Market, and talking with all who came by. On the weekends she enjoyed dancing and visiting with all of her friends. Preceding her in death were her husband, Merle; her parents; one brother, Richard; and three sisters: Pearl, Lovie, and Jewel. She is survived by her three daughters: Mary Sorensen (Wayne) Nikodim of New Baltimore, MI; Becky Sorensen (Tony) Koger and Nancy Sorensen (Gary) Esry, both of El Dorado Springs, MO; five grandchildren: Susan Nikodim (Jeff) Malbouef, Patricia Nikodim (Rob) Randa, Tanya Koger (Earl) Ward, Tyler Koger, and Ginelle Esry; seven great-grandchildren: Nick (Emily) and Krista Malbouef, Samantha, David, and Brandon Randa, Cash and Case Ward; four great-grandchildren: Ayden, Kaydance, and Skilyr Gardner, and Kaylee Randa; one sister, Lula Mae (Irving) Raether; one sister-in-law, Hulda Sorensen; and numerous nieces and nephews. 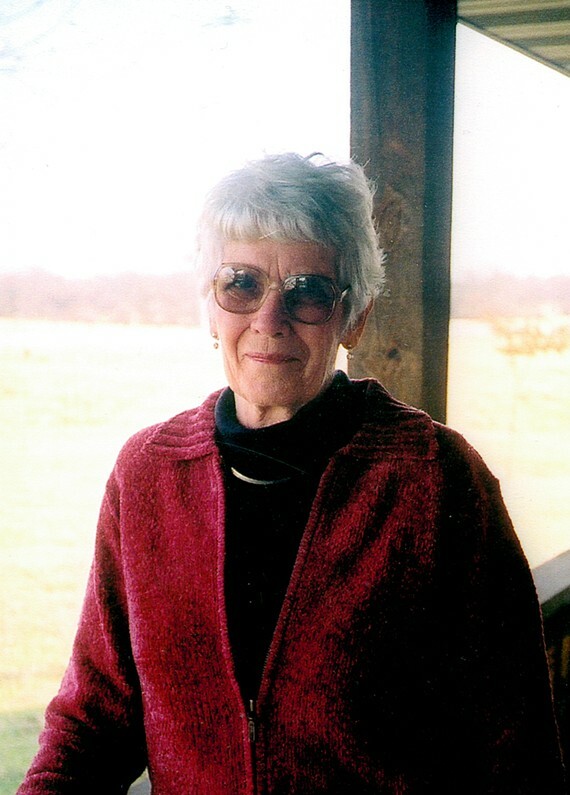 Funeral services for Helen Sorensen will be held on Wednesday, December 17, 2014, at 10:00 a.m. at Bland-Hackleman Funeral Home with Rev. Brent Bland officiating and Ginelle Esry providing music. Burial will follow in Love Cemetery under the direction of Bland-Hackleman Funeral Home. Pallbearers are: Tyler Koger, Earl Ward, Bob Randa, Jeff Malbouef, Tony Koger, Gary Esry, and Wayne Nikodim. Honorary pallbearers are: Ginelle Esry, Tanya Ward, Patty Randa, and Susie Malbouef.